It all started with 5-year-old Mia, better known perhaps as the eponymous inspiration for Mia Moo’s Foundation. 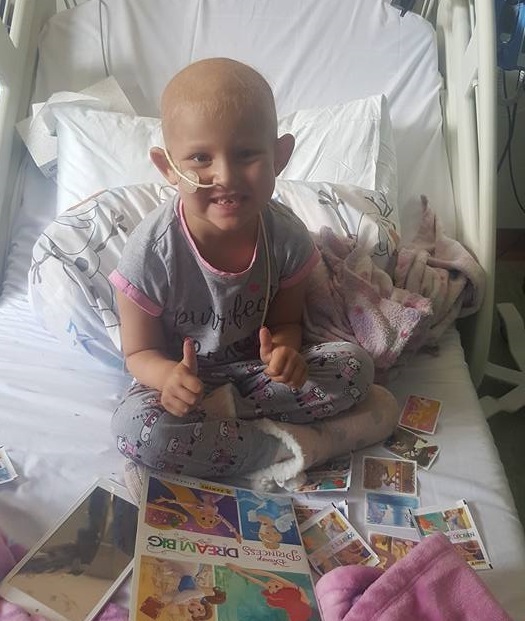 She was diagnosed with Acute Lymphoblastic Leukaemia (an acute form of cancer that causes white blood cells to continually multiply, choking out other healthy cells) at 18 months old, entailing 2 and a half gruelling years of chemotherapy treatment before being given the all-clear. However, after just 7 short months of health and happiness, she began suffering from severe headaches. Routine checks showed nothing; it was only after her consultant insisted on conducting a lumbar puncture that she was diagnosed once again, heartbreakingly, with cancer. Chemotherapy resumed in July 2016 and the search for a compatible bone marrow donor began. The family received good news in October: a perfect match had been found. Her transplant, carried out at Sheffield Children’s Hospital, was scheduled for the same month. After 5 long weeks, Mia was allowed home - however, she’s had continual treatment, tests and trips back and forth since then and will take medication for the rest of her life. Now this is where we (and possibly you) come in. After her first diagnosis, Mia was fortunate enough to be able to go on a family holiday in between treatments. Anyone that’s experienced childhood cancer, directly or otherwise, knows that even a little respite is invaluable; the chance to give Mia some happy memories in a short life so filled with hospitals and illness was inestimable. After seeing the joy this holiday brought her, the family decided to set up Mia Moo’s Foundation with the aim of giving others a place to escape in such heartrending (and often horribly expensive) times. It’s to this cause Marks Electrical donated £1,000 and gifted raffle prizes which helped to raise a further £1,450. The Foundation’s ultimate goal is to raise £40,000 to buy a holiday home for families in the same circumstances to be used as a lifeline, offering a break even for just a few days from the harsh reality of cancer. Mia’s crew tirelessly organise fundraisers to hit this target, but they need all the help they can get. To show your support, all the details you need are on their Facebook page here. Every like helps Mia Moo’s Foundation to reach not just donors, but other parents taking the same tough journey. We love to give back; we have a constant stream of causes and charities reaching out to us but, sadly, it’s just not possible to give to every single one. We take the time to consider every opportunity to donate and we do our very best to choose those that need it the most. If you think we can really make a difference, we’d love to hear from you.